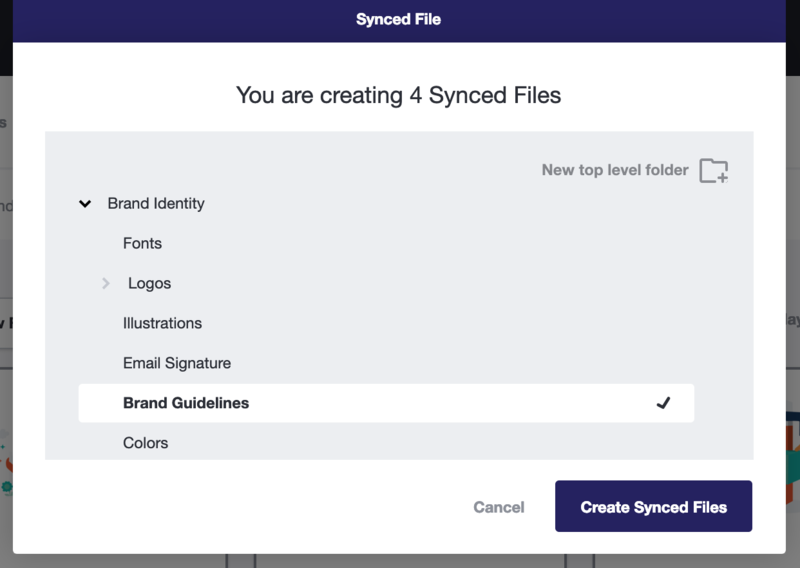 A Synced File allows a file to stay in-sync while living in multiple folders. If you update the name, asset profile information, tags, or thumbnail preview this is synced across all instances of this file so that they are all updated with the same information. If you are interested in making a "Copy," which is a true duplicate of a file, please check out this article. 1. 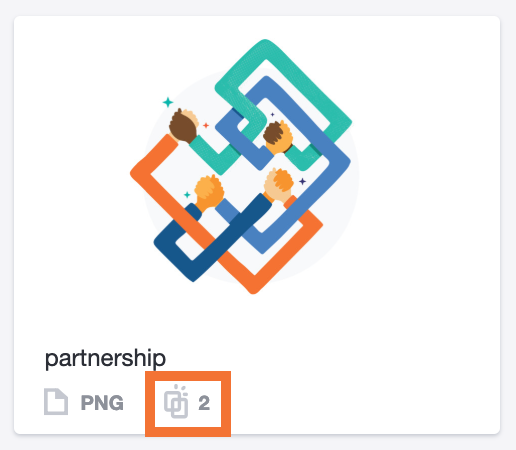 Select the file or files you'd like to sync by checking the box on the asset thumbnail. 2. Open the More ... menu from black bar that drops down at the top and click Synced File option. 3. From the menu that pops up, select the destination folder you want to put the Synced File(s) in. 4. Click the Create Synced File button to create the Synced File in the selected destination folder. You can select files from all over the library, they do not need to be selected from the same folder.